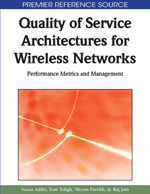 The MIV Imaging Venture proudly announces that the book entitled “Quality of Service Architectures for Wireless Networks: Performance Metrics and Management” is now available. 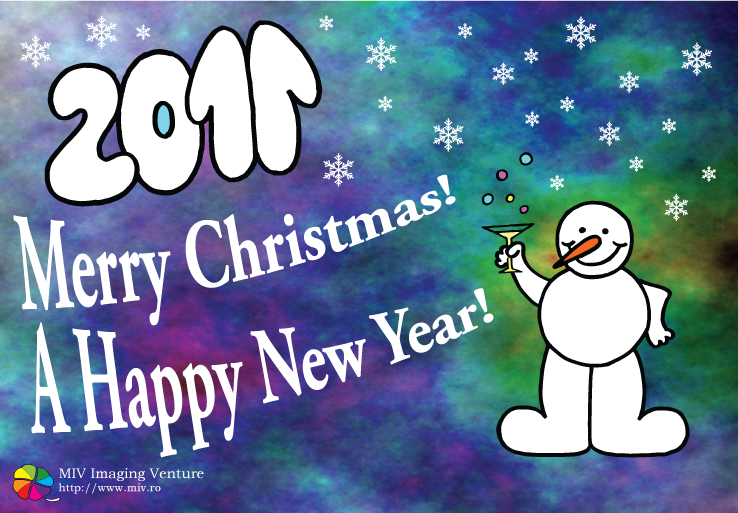 Editors: Sasan Adibi, Research In Motion (RIM), Ltd., Canada; Raj Jain, Washington University in St. Louis, USA; Shyam Parekh, Alcatel-Lucent, USA; Mostafa Tofighbakhsh, AT&T Labs, USA. Publisher: IGI-Global, U.S.A. 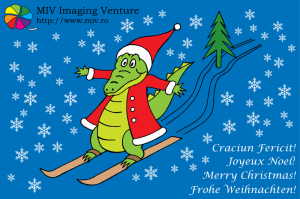 The MIV Imaging Venture contributed with chapter 15 “Correlating Quality of Experience and Quality of Service for Network Applications“. 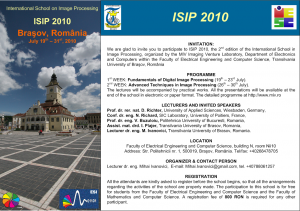 MIV Imaging Venture is proud to announce the 1st edition of ISIP (International School in Image Processing), which will take place in Brasov, between 16th and 27th of November, 2009. 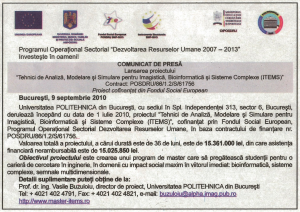 ISIP flyer is available [PDF, 143kB]. 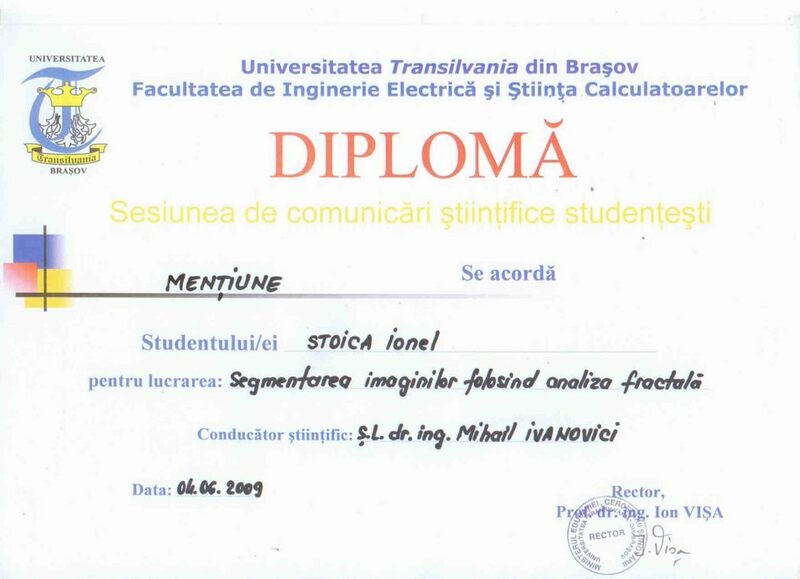 Ionel Stoica received the special mention of the jury in the student’s competition organized by our department, for his work on image segmentation using fractal analysis. 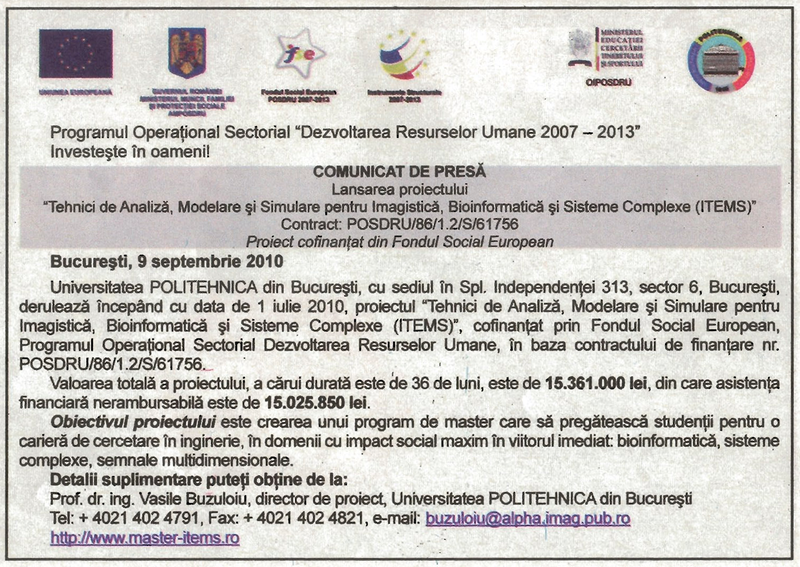 See the [DIPLOMA].